Margaret Elwin, Tshimbi Cassell, Jewelline Roberts-Riley, Hon. Premier Donaldson Romeo, HE the Governor Elizabeth Carriere, P. Austin Bramble, Emmanuel Galloway, Verna West, Cedric Osborne, and D.R.V. Franklyn Edwards. Tshimbi and Ardena Cassell, accept the Order of National Hero award on behalf of their father who passed away in 2010. Siblings Tshimbi and Ardena Cassell accepted the award on behalf of their family and the many people who supported their father Alphonsus “Arrow” Cassell to achieve international soca star status. In a very emotional tribute, both children shared how their father impacted their lives, pursued his dreams and put Montserrat on the world entertainment stage. The Order of Merit was bestowed on Teacher Verna West and Margaret Elwin. West has spent more than 30 years dedicated to education on island. Upon receiving her award, Elwin credited her mother for instilling a desire to help the less fortunate. She gave appreciation to family and friends who supported her continued efforts to suppor those in need. Order of Distinction medals were awarded to Jewelline Roberts-Riley, Emmanuel Galloway and Cedric Osborne. In his brief remarks, Emmanuel Galloway paid respects to the late Sir George Martin, who he called a friend. Galloway shared that working with Martin on repairing Air Studios after Hurricane Hugo, extending Olveston House and later building the Montserrat Cultural Centre were some of his finest achievements. Business man and community supporter Cedric Osborne singled out his wife Carol for her support in helping him achieve his goals and to keep the business and family in check. Both businessman D.R.V. Franklyn Edwards and former chief minister P. Austin Bramble received medals in the Order of Excellence. The former chief minister spent a great portion of his greetings to honour his wife who he credited with his successes as a man and politician. He used his time to urge younger politicians to evaluate not just the things that were done in the past but to understand the context and the whys of the decisions. MC for the evening was Mrs Lorraine Lewis. 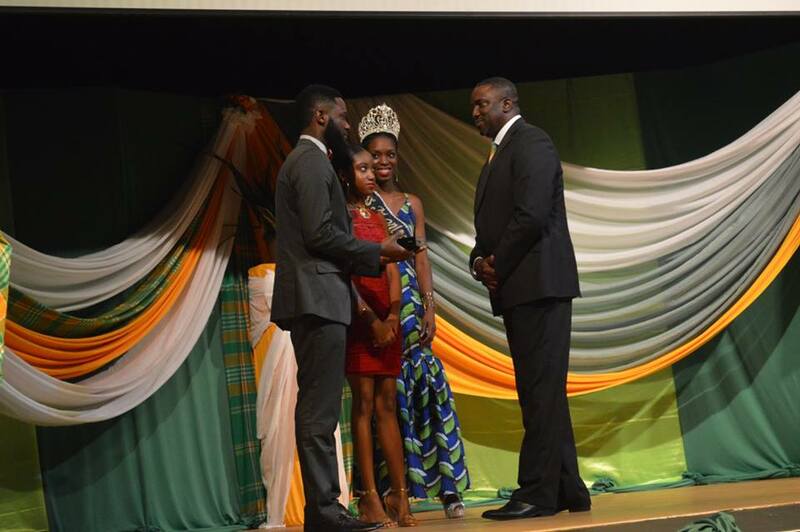 The reigning Miss Montserrat Tabeanna Tuitt assisted both Hon. Opposition Leader Reuben T. Meade and Hon. Premier Donaldson Romeo to present the awards. There was special entertainment by the Matrixx Dancers, Keithroy “De Bear” Morson, and Steadroy Cabey. The ceremony was followed by a reception hosted by Hon. Premier Romeo at Good Life.